The McLaughlin Block was built in 1891 in the Victorian Eclectic style with Romanesque features. The building was erected in dedication to Michael McLaughlin who died in 1888. 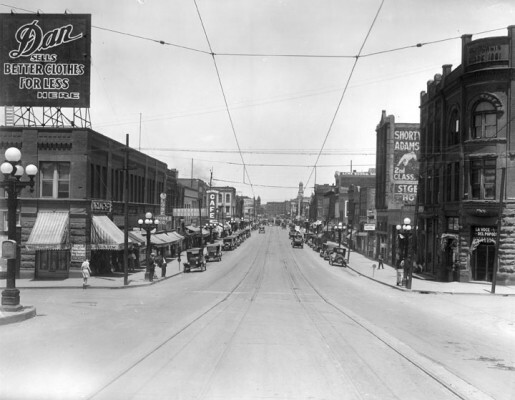 Originally constructed as a multi-purpose building it contained a hotel and on the commercial area two saloons, two restaurants, a barbershop and a shoe shop. Before 1921, there was a garden level in the front of the building that was never unearthed after the flood later that year filled the area with mud and debris. 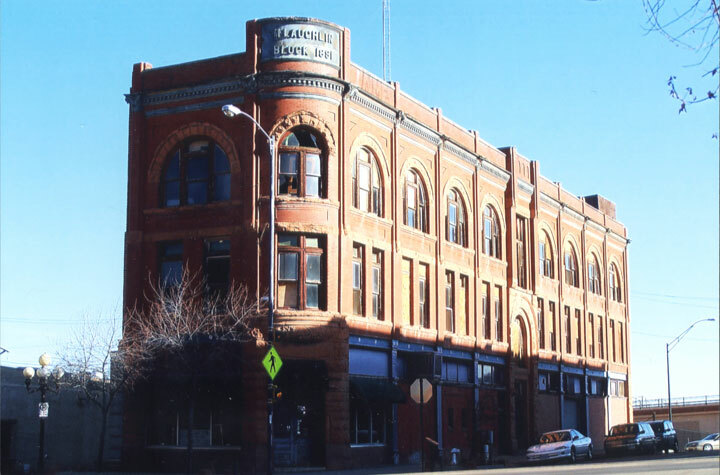 This three-story building was a vital structure in Pueblo’s Union Avenue Historic Commercial District. The Union Avenue area was placed in the National Register of Historic Places in 1983. There has been little to no movement on this privately owned property. The owner is looking for a new tenant. CPI has tried to be in contact for restoration and potential funding for improvements. The site needs exterior maintenance, to reestablish contact with the property owner, and to potentially pursue a new preservation minded owner (if the site is for sale).